I am just loving all the sweetness Whimsy Stamps has to offer. I just can’t get enough of this sweet fairy and her adorable little bunny! She reminds me of my childhood when I used to believe that I had my very own magic wand. I think I really thought that it worked…lol! Wouldn’t that be awesome if we truly had one? For today’s Guest Design Team project I chose to work with two different stamps. The super sweet and adorable little fairy is called ‘Make A Wish‘ and the sentiment is from the sweet set called ‘Kitten Kindness‘. Clear Wink of Stella was added to the stars, the spots on her dress, and to her wings…and of course a little bling! As always there is an abundance of cuteness to be found in the shop! Thank you so much for joining me today! 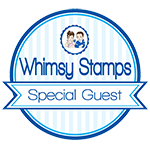 I have something really exciting to share with you…I will be Guest Designing for Whimsy Stamps for the next two months!! I am SO excited!! 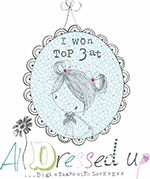 I ADORE their images and am so thrilled to have been given the opportunity to create with all the cuteness! 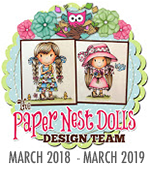 Today I am sharing my craftiness using the sweet image called “Dolly“. Such a little cutie! The paper is from Simple Stories~The Story of Us, and Adornit~Chamberry Hill. 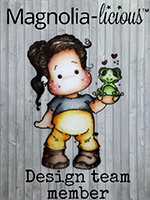 When I first saw this super sweet image from Whimsy Stamps, I knew I would have to create with her at some point. She is called Pretty Girl Happy Mail and is available as a digital stamp. She reminds me of my oldest daughter with all her long blonde hair! Paper is from Echo Park-Dots & Strips Gingham and Authentique-Frosty Winter. Dies are from Gummiapan, My Favorite Things, and Kaisercraft. The flowers are from I Am Roses. As always an abundance of cuteness can be found in the shop! Hello again! 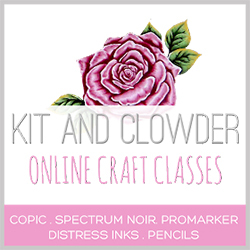 Sharing a little cuteness from Whimsy Stamps today. This little cutie is called Iris. Such a sweet and utterly adorable image to work with. Who can resist her sweet little face? It looks like she is daydreaming about something. Dies are from Memory Box, La-La Land Crafts, and Gummiapan. Flowers are from I Am Roses. Paper is from Kaiser Craft~Full Bloom Collection. As always there is an abundance of cuteness in the shop!